Think you can’t accomplish a significant home improvement with a measly $100? Think again! There are lots of ways you can upgrade your home on a small budget. Here are 10 ideas to get you on track to transforming your home one detail at a time. 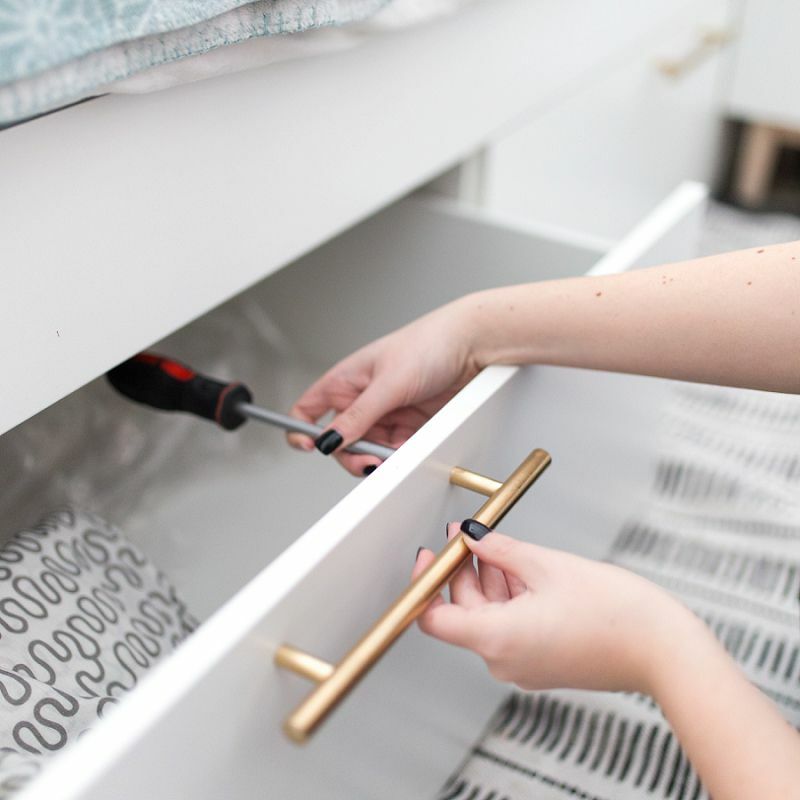 Get rid of the original hardware in your house, from old-fashioned cabinet knobs to vintage drawer handles. Upgrade to stylish pieces that reflect your personality and match your decor. You’re probably grateful for your closet door because it lets you shut the chaos and clutter out of sight. Such disorder is not a good way to start the day. Install a smarter organization system, and you’ll have a much better feeling when you open that closet in the morning. Then, learn how to save space by folding your clothes just right. You don’t always need bright overhead lights to accomplish tasks from one room to another. Install track lighting along the underside of cabinets in your kitchen, bathroom and laundry room to make for easier navigation in the dark. If the pathways in your yard are less defined and more “choose-your-own-adventure,” take a few hours out of your weekend to install stone pavers along frequented routes. Stone walkways add sophistication to the landscape at a surprisingly low cost. See HomeAdvisor’s Install a Pathway Cost Guide to get information on material costs and installation tips. Literally. Turn the area inside your front door into a functional entryway where your family and guests can drop their shoes and coats. Features that work well are benches with built-in shoe storage, hooks and overhead storage like shelves or cabinets. To get these features, skip the $1,000 pre-fab units and get creative with department and thrift store finds. Get inspired by these mudroom makeovers. 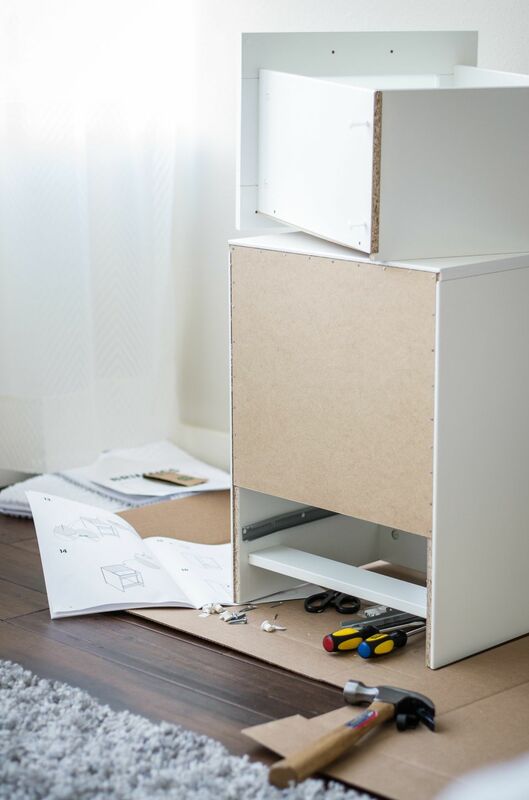 This is a worthwhile home improvement because, for under $100, you’re setting yourself up to save money in the long-run. Updating from a manual to a programmable thermostat will save energy and lower your electric bills. The unit will come with instructions for safe installation. Switching up your cabinet colors can completely change the look and feel of your kitchen. Consider painting the lower cabinets one shade and the upper cabinets a different, complementary color. This two-tone style creates depth and dimension. You don’t have to live with the basic old light fixtures in your home. Replacing them is relatively simple and can make a big difference. Take a walk down the lighting aisle next time you’re at the store. You may be surprised by the low cost for high style. This may not seem like a sound investment, but peel-and-stick backsplashes are gaining popularity as more homeowners discover how easy they are to install. In less than a few hours, you can have a backsplash in almost any style--from subway tiles to natural stone. A standard bathroom will benefit a lot from a few quick additions. Framing the mirror with wood can cost as little as $20 and upgrades the atmosphere. Extra shelves, a change of paint color on the cabinets and a piece of art will set a completely new tone that is anything but standard. Many of these improvements can be done in a matter of hours. If you only have an hour here and there, take the project one piece of hardware or one thrift store visit at a time. You can make significant changes in your kitchen, bathroom, entryway and even in your yard with a little bit of time and a hundred-dollar bill.